Put new technologies to work for your practice. Informatics is not just for specialists! 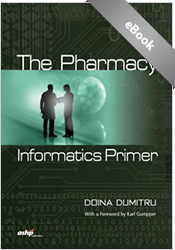 While constantly evolving technology, the growth of evidence-based medicine and the proliferation of information sources have driven the growth of informatics as a pharmacy practice specialty, all pharmacists should understand its basic elements. 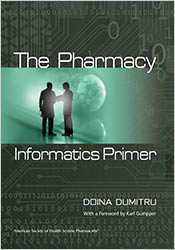 With contributions from leading experts, The Pharmacy Informatics Primer provides a foundational understanding and 'pearls of wisdom' to pharmacy directors, managers and clinical pharmacists. It intoduces concepts essential to understanding, developing, implementing and maintaining clinical information and automation systems.